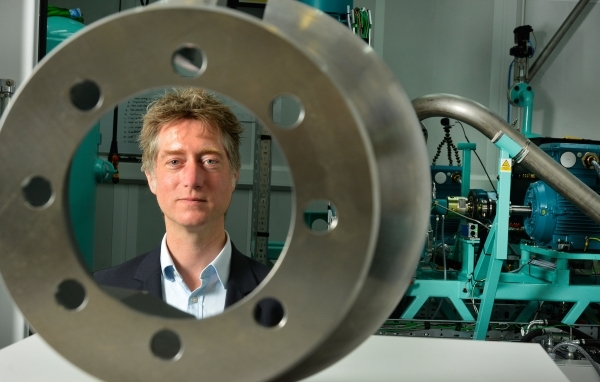 A consortium led by Midlands-based company Lontra has been awarded a £1.5 million grant to apply the firm’s award-winning technology to energy generation. The Energy Catalyst grant from by Innovate UK aims to support business-led innovations to bring concepts to commercial readiness. Lontra will be leading the consortium set up by 2020 Power Generation Ltd (2PG) with Integral Powertrain Ltd (IP), and Nottingham University to increase the fuel efficiency of the 2PG engine used for 1MW power generation – the most common size of generator used for applications ranging from data centres to manufacturing plants. The two-year project will reduce carbon emissions and energy costs, contributing to the Government’s goals to reduce energy emissions by 35% by 2020. The project will apply Lontra’s revolutionary Blade Compressor® as a turbo compounding technology. The grant provides full funding to take the technology from concept through to hardware and testing stages. Earlier this year Lontra opened a new state-of-the-art Technology Centre at its site in Napton to develop its clean sheet compressor technology to bring greater energy efficient conceptions to market. Lontra is a fast growing Midlands firm licensing IP to technical and commercial partners. The business has projected annual licensed product sales of over £20 million. Lontra’s flagship innovation is the Blade Compressor®, a patent protected compact, double acting rotary compressor which delivers a Triple Win to end-users; oil free, more reliable and provides significant improvements in efficiency for application in energy intensive industries such as water treatment and industrial compressed air. Lontra’s Blade Compressor® is a step change in air compressor technology, best imagined as a piston and cylinder, but with the cylinder wrapped into a ring doughnut shape. The design involves a constantly open intake port, without valves. As the piston rotates, air is drawn in behind it and compressed in front of it in an almost continuous cycle. Blade Compressor® has a unique oil-free geometry providing internal compression with very low leakage, and low inlet and outlet flow losses giving a machine that is quieter, smoother and highly efficient. A low pressure (1Bar/15psi) Blade Compressor® has already been proven in a demonstration with Severn Trent Water, where reductions in energy consumption of over 21% were observed. The technology is now licensed for production within the municipal and regulated waste water sector to Sulzer, a global leader in pumping equipment with 21 manufacturing facilities worldwide. The multi-million pound deal will see aeration equipment incorporating Lontra’s technology sold across 150 countries.